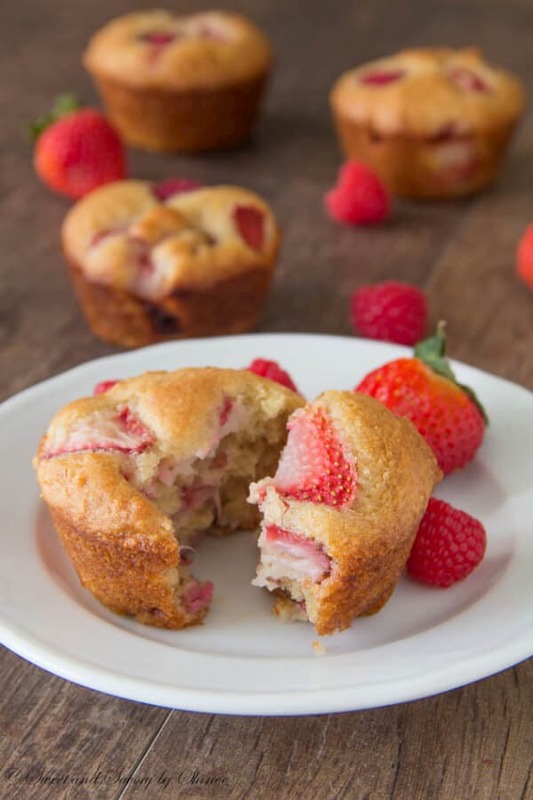 Bursting with juicy fresh berry flavor, these semi-skinny muffins will be one of your favorites right away. Are you drooling yet? I know, I am. 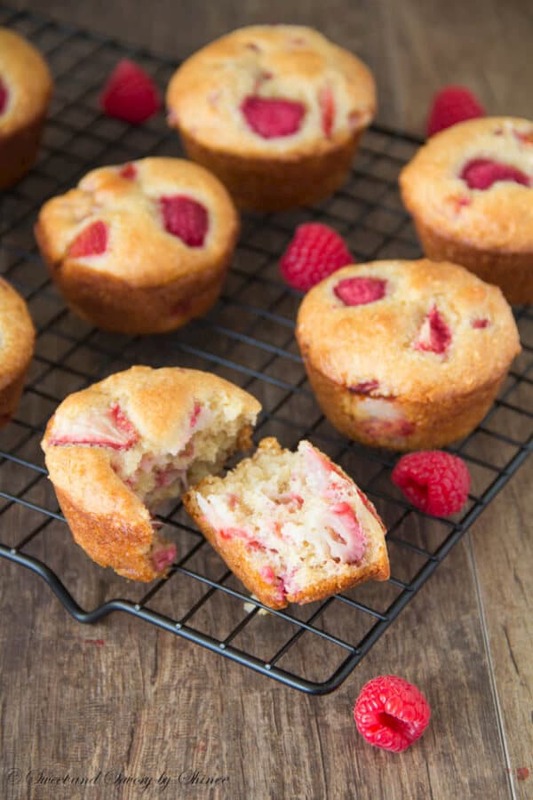 When I was working on this recipe, I was striving for juicy-fruity soft muffins with slightly domed top. It took me three trials to perfect this recipe. I’m a perfectionist and I can’t help it. I usually try time and time again to achieve exactly what I have in mind. Hard work pays off though. I’m very happy with the outcome. 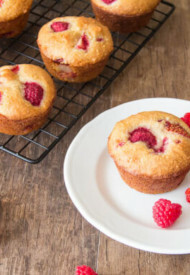 You will love these almond berry muffins as well. 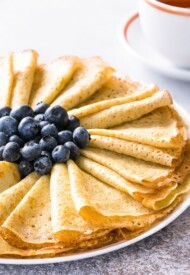 They burst with fresh berries and a hint of almond flavor. To cut down on calories, I put Greek yogurt instead of butter, or vegetable oil. 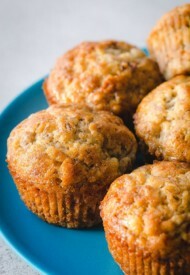 You won’t even notice lack of it, because the muffins are still soft and moist, just the way you like. Although it’s not berry season right now, I highly recommend to use fresh berries. 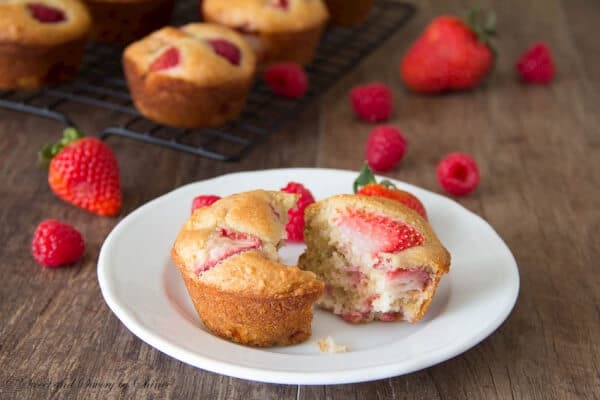 I have tried this recipe with defrosted strawberries, but I got flat muffins with unappealing color. 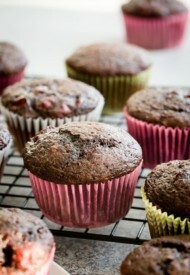 In order to get perfectly domed muffin top, the batter has to be thick enough to spoon, not pour, into the muffin pan. Also, the oven has to be preheated really well before you put the muffins in. Lastly, you need to fill the muffin cups to the top, not just till 3/4 of the cup, as most recipes state. 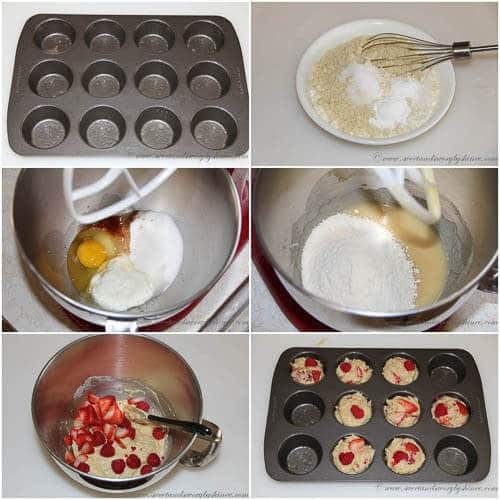 If you follow these directions for any muffin recipe, you will get beautiful muffins with nice domed top, just like from bakery, every time. 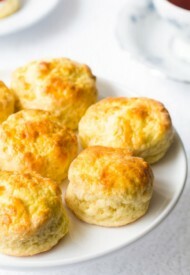 I really hope you give this recipe a try, because I know you won’t regret it. Preheat the oven to 400°F (200°C). Grease the muffin pan. In a small bowl, whisk together all the dry ingredients. In a large mixing bowl with paddle attachment, beat the egg, sugar, Greek yogurt, vanilla and almond extracts together until well combined. Add the flour mixture and mix just until combined about a minute. Stir in strawberries and raspberries. Spoon the batter into 8 muffin cups filling to the top. Bake for about 15-18 minutes, or until the inserted toothpick comes out clean. Cool on wire rack for about 5 minutes, and then remove the muffins from the pan to cool completely. almond flour hiihgui bvl yaahuu? Yer ni almond flour-g yamar zorilgotoigoor heregledgiin? Mgl-d oldoh ni hetsuu bh gej bodood bn. ene harin jinhene tasartsan muffin bndaa:-) Ug ni udii hurtel blueberry muffind unench yavsan yumsan. Odoo harin ene muffin ruu urvaj medheer bn shu hehehe. Well done Shinee!